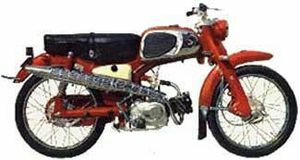 The Honda C110 was a 50cc 4-stroke street motorcycle manufactured by Honda from 1962 through 1969. 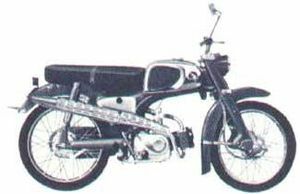 Although called a "cub" the C110 was not a step-through model like other Honda cubs. 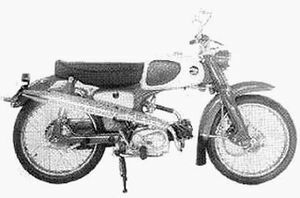 Tank badges read: "SPORTS CUB"
Tank badges read: "HONDA 50"
This page was last edited on 28 November 2010, at 20:47.